Sell In China Corp was born from the need for an easier way for US electrical and electronic manufactures to penetrate the vast internal Chinese market for their products. Traditionally US manufactures sell through sales agents and distributors in their home market but find it very difficult to find the same quality of representation in China because of barriers of language, time zone, and lack of visibility in the US market. 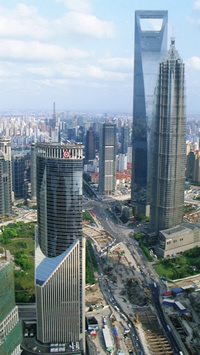 Sell In China Corp offers an easy route for US companies to be connected to a well established distributor in China that has a proven track record of selling US electrical and electronic products all over China, from Beijing to Xian, Chengdu, Chongqing, Shanghai, Shenzhen and Hong Kong. Based in Florida, Sell In China Corp can work with your sales and marketing departments to establish the business ties with the Chinese distributor network. Sell In China Corp works from on the ground business experience in main land China and Hong Kong over the last four years and thirty five years of electronic product sales in the USA, Europe and Asia. This is an ideal time for US companies to export their products into China as the Chinese government opens up the western Providences and accelerates the growth once more. Western made products are highly desirable in China and Chinese engineers know they will buy quality when they purchase from the west.